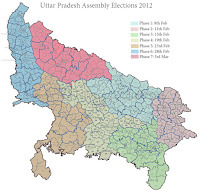 The campaigning for the first phase of polls which will take place on 8th February in 55 assembly seats across 10 districts of Uttar Pradesh will end on Monday. All parties in the fray will try their best to win the voters in the time left for campaigning. 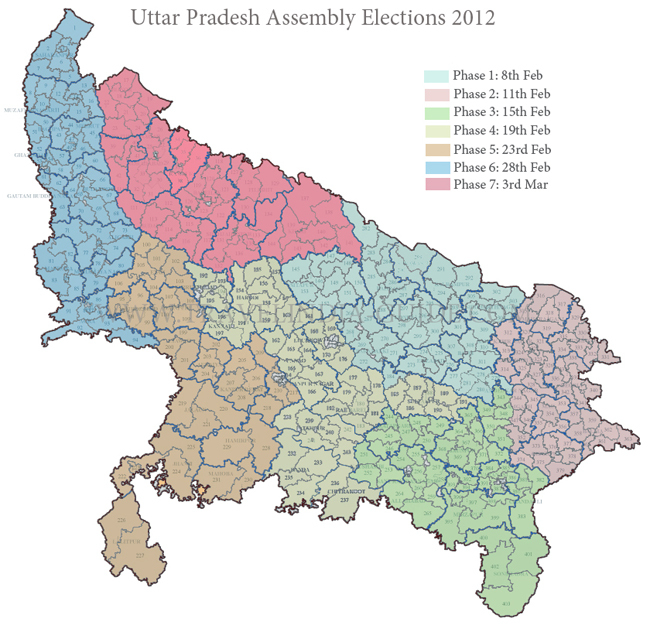 UP chief minister and Bahujan Samaj Party (BSP) supremo Mayawati will address rallies in Kushinagar and Gorakhpur. Congress general secretary Rahul Gandhi will be addressing meetings and rallies in Varanasi, Ghazipur and some other districts. Congress star campaigner Priyanka Gandhi will remain in Raebareli and Amethi. BJP senior leader LK Advani will be campaigning in Lucknow and party President Nitin Gadkari is sheduled to address rallies in Balia and Ghazipur. Uma Bharti will be in Gonda, Siddharth Nagar and Faizabad.